Mimetic Metal™ emulates key characteristics of natural bone to provide an optimal structure and environment for healing. 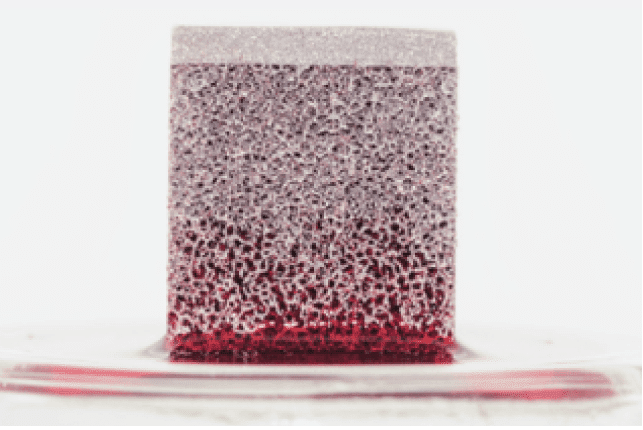 Manufactured through a proprietary 3D printing and finishing process, Mimetic Metal provides a micro-roughened, 100% open-pore architecture with conduits designed for blood flow and bone growth. This porous structure compounds the inherently hydrophilic nature of its titanium alloy to enhance the devices hydro-wicking forces. Manufactured through a proprietary 3D printing and finishing process, Mimetic Metal is laser-printed utilizing a micro-fine Titanium powder. This allows CoreLink’s Master Print Technicians to achieve the utmost precision while creating an interbody that mimics the very nature that it replaces. 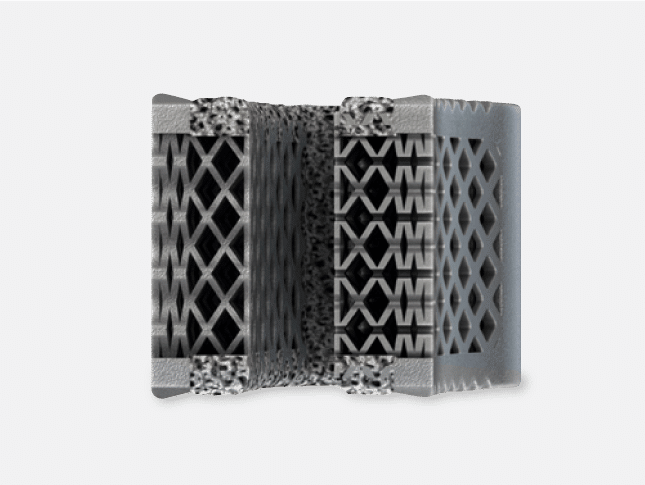 CoreLink’s patent pending StrutSure™ architecture has been designed to modulate the overall stiffness of the device and redirect load into the lattice itself and out to the perimeter of the device, again emulating characteristics of natural bone. Mimetic Metal provides a single-piece construction. Unlike laminated assemblies, Mimetic Metal introduces no risk of delamination.